Wading Beauties . . . 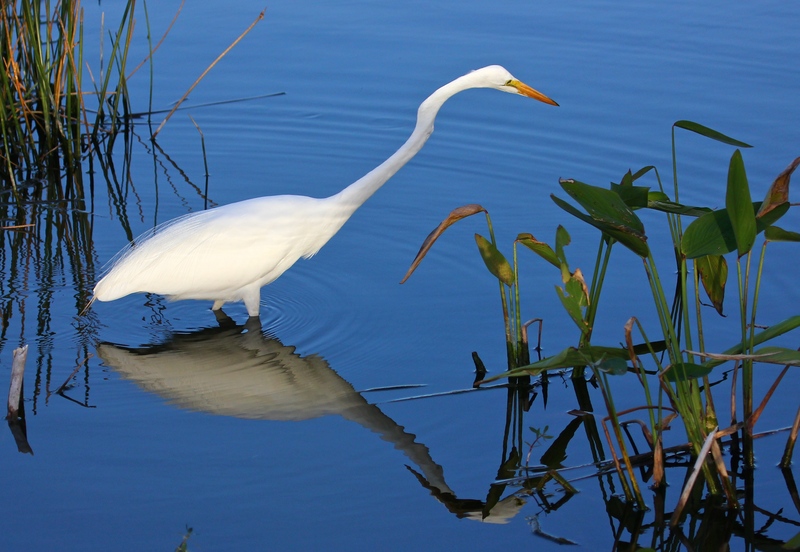 It is fascinating to observe the feeding behaviors of the large wading birds in our Wetlands. 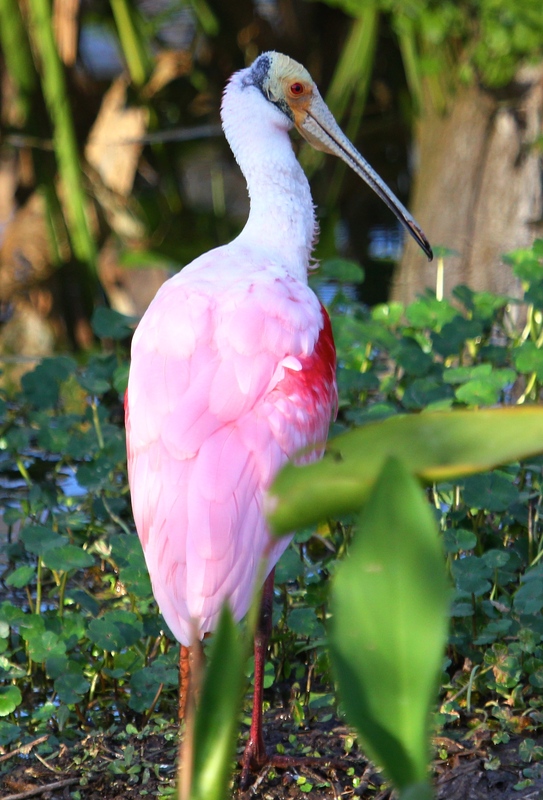 The Roseate Spoonbill featured above was using the steady, back-and-forth foraging motion this beautiful bird uses to find and capture its prey. Through a unique process called tactolocation, the Roseate feeds in shallow water by sweeping its large spoon-shaped bill from side to side. The bill snaps shut as soon as it comes into contact with small fish or other aquatic invertebrate, and voila ~ dinner! The Great Egret, on the other hand, strides out across the open, quiet water, neck extended, stopping every few moments to see who might be swimming below. 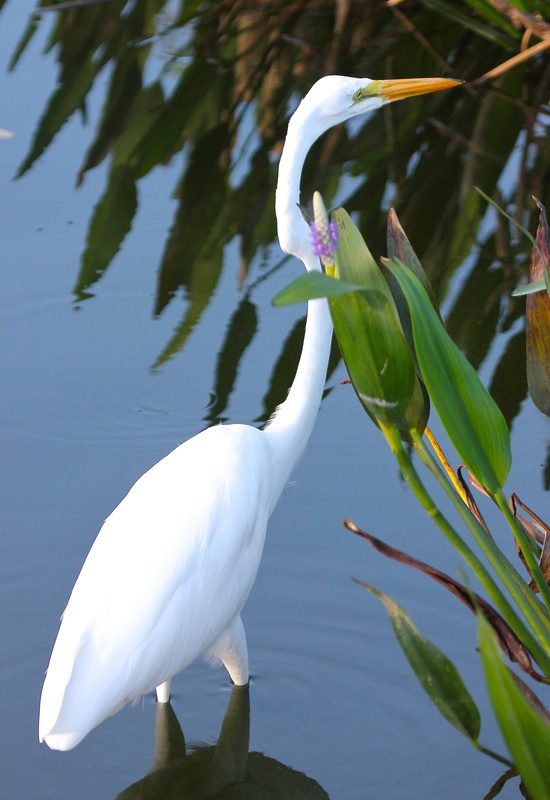 The Egret has incredible patience and waits for just the right moment, always at the ready. Often with a subtle swaying of his neck or tilting of his head as a prelude, he suddenly lunges forward and plunks! 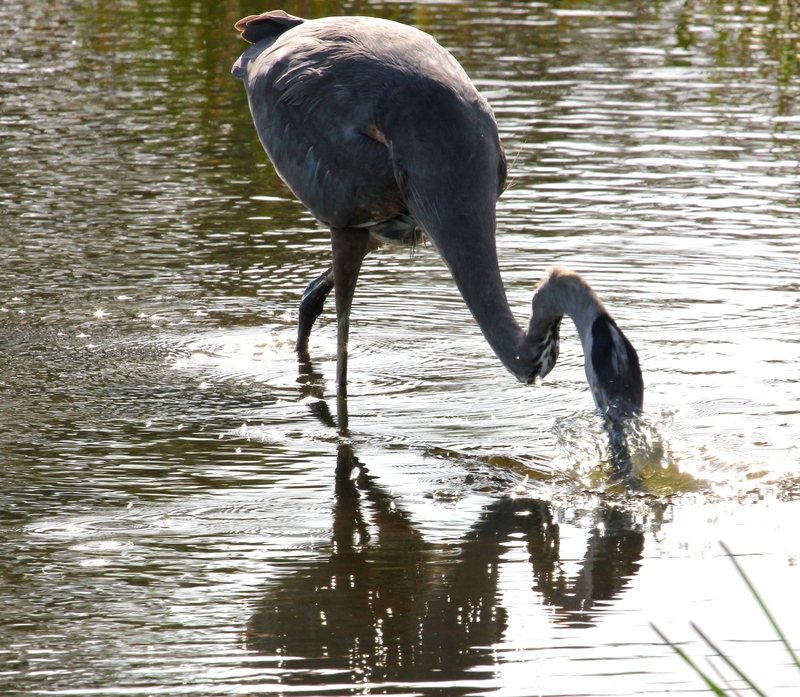 his head into the water – and comes up with a treat in his long pointed beak. 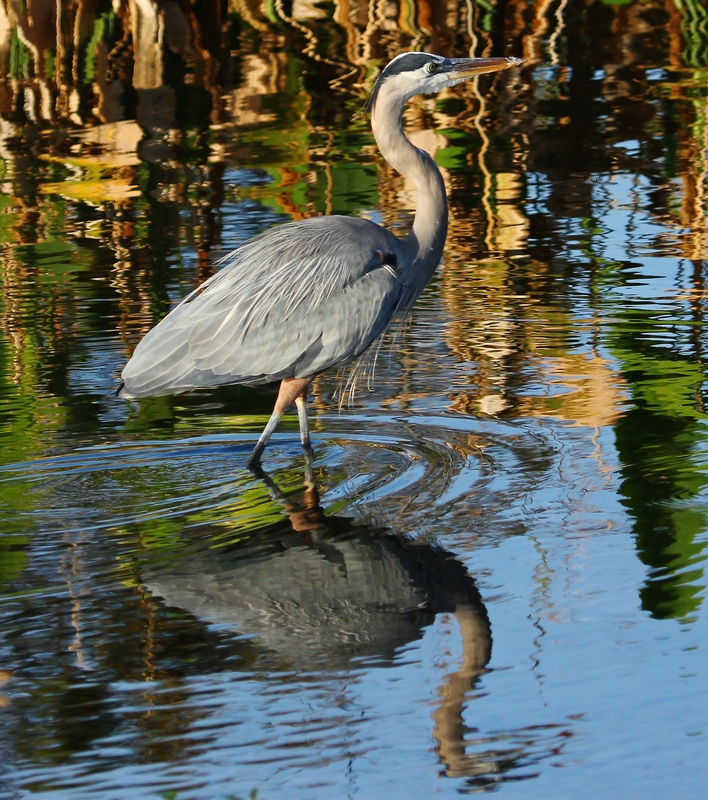 The Great Blue Heron is also an amazingly patient hunter, walking slowly through marshes, wetlands, and fields or other open areas in search of prey. The Great Blue often stands perfectly motionless for the longest time, just waiting for fish or other small creatures to “come within range of a lightning thrust of its dagger-like bill” (Smithsonian Handbooks. Birds of Florida, 2002, p. 66). It’s not unusual for the Great Blue Heron to spear very large fish. You can frequently see the bird toss the fish up in the air, over and over, catching it in different positions, in an effort to get the fish to slide down his throat headfirst. The exhausted Heron sometimes must toss the fish on the ground and try again a number of times. If you have the patience to wait (! ), it can be a marvel to watch. What a joy to live in a place where we can see these birds at such close range, and watch their behaviors, especially at this time of year. This entry was posted in Birds, Marsh/Wetlands and tagged Great Blue Heron, Great Egret, Roseate Spoonbill. Bookmark the permalink. Love your Roseate Spoonbill! Have not seen these before, thanks! I love these pink beauties, too. They’re very popular with visitors! I’ve seem a heron and egret in action and would love to see the spoonbill. Beautiful shots and fascinating information. Thanks for your visit and your kind comments, H.J.! Have a stellar day!